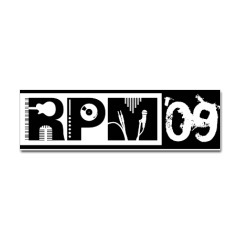 RPM stands for Record Production Month. It’s a great way for musicians to spice up the long winter months, or an exciting stand-alone challenge for any month out of the year. In the style of the well-known National Novel Writing Month (NaNoWriMo) that happens each November, RPM promotes the idea that it doesn’t pay to sit around and wait for inspiration to hit – “taking action puts you in a position to get inspired.” I think it’s good advice for anyone with artistic aspirations. Set a goal – in the completion, you’re bound to learn something, even if it’s not quite what you expected. What if every musician you knew put their music first for 28 days? What if you recorded the best song of your life? What if the world was never the same? What’s stopping us? Nothing. February is Record Production Month. You have no reason to say no, and nothing to lose.